In the wake of the recent Malay-Muslim majority outcry of the escalating kalimah “Allah” controversy, the Chinese Chauvinist DAP Emperorissimo Lim Kit Siang asked for a ‘National Reconciliation Summit’ between leaders of Barisan Nasional and the illegal Opposition coalition, Pakatan Rakyat. DAP has called on Putrajaya to approve a National Reconciliation Summit of Barisan Nasional and Pakatan Rakyat leaders to discuss five “national crises” plaguing the country. DAP adviser Lim Kit Siang (pic) said Prime Minister Datuk Seri Najib Razak should not waste time and immediately take the initiative to get approval from the Cabinet to convene the summit in order to “rebuild national unity and resilience in the country”. 1) The deepening economic crisis following a series of price hikes in the coming weeks and months and the introduction of the goods and services tax (GST) at 6% in April 2015. 2) The deterioration of national educational standards in the past decade, with the country heading further south with the results of TIMSS 2011 and PISA 2012 international educational assessments where Malaysian students fared badly. 3) Corruption, despite the big budgets allocated in the past few years for the Malaysian Anti-Corruption Commission. Over the past 19 years, when Transparency International (TI) maintained its Corruption Perception Index (CPI), Malaysia achieved the dubious distinction as one of the countries which had been downgraded both in TI CPI ranking and score, as well as losing out to several countries which had lower CPI ranking and score in 1995. 4) Security and safety issues as police have failed to transform itself into an efficient, independent and professional world-class service committed to democratic policing and not just regime-protection, resulting in the recent waste of over 2,000 police manhours over some 2,000 frivolous and fictitious police reports about fairy tale plots of a conspiracy to topple government at Dataran Merdeka on New Year’s Eve. (ii) the insensitive, racist and un-Malaysian response by Umno leaders. Lim said it was “sad and regrettable” that Najib has been silent over the five issues, adding that the PM had been missing from public view for 10 days, from the National Christmas open house in Penang on December 25 last year until this morning. 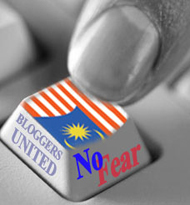 “It is most disappointing that despite his 10-day disappearance when the leadership and statesmanship of a prime minister is most needed, Najib has nothing much to say or offer in his first pronouncement today – despite the promise in his New Year message that ‘as the year unfolds Malaysians will hear more of the government’s plans to ensure a stronger economy and a more unified nation’. “Wherever Najib might have gone in the past 10 days, it is inconceivable that in this era of instant communication, he has had no word of advice or directive in the past 10 days to put out the fires scorching the country by these five national crises,” the Gelang Patah MP added. Taking a dig at other Umno and Barisan Nasional leaders, he said that the five crises were tasks and challenges beyond their capability to address and resolve single-handedly. “For this reason, Najib should seek Cabinet approval on Wednesday for a National Reconciliation Summit of Barisan Nasional and Pakatan Rakyat leaders where these five national crisis scorching the country are the top items on the agenda,” Lim added. – January 6, 2014. This request should not be taken seriously. In fact, it should be taken with a lot of doubt and suspicion. It is actually trying to hoodwink some gullible Malaysians to demonstrate that the Federal Government under Prime Minister Dato’ Sri Mohd. Najib Tun Razak with a lot frivolous charge such as ‘insincere’, ‘afraid’, ‘covering up mess’ and other fallacies when the request is turned down or a different set of agenda proposed. Watch is Youtube recording in the early days of the 14th Parliament, post 13GE. Starting with, Lim grossly attempted to lie with his statement about Prime Minister Najib “10 days disappearance after the national level Christmas Open House”. On 30 December 2013, Prime Minister Najib announced the ’11 point austerity drive’. That was exactly a week ago. On the ‘Deterioration of national education standards’, the measurement that Lim quoted as examples cannot be taken as a benchmark to prove of the “Standards heading down south”. Ministry of Education senior officials and many education experts in the local universities could present their own evidence otherwise. On the point about corruption issues raised by Lim, with the Corruption Perception Index (CPI) by Transparency International global ranking as his reference points that he was simplistic to charge that nothing has been done to combat corruption practices in Malaysia. Nevermind the fact that ‘Providing for corruption’ is almost the ‘acceptable culture’ by many Chinese businessmen. Chinese NGO’s study concluded that half of Malaysian Chinese between 18 and 45 years old are ignorant about an agency that was incorporated to handle corruption. Malaysian Anti Corruption Commission is actually derived from Anti-Corruption Agency. Huazong’s study also found “A whopping 78 per cent of the respondents felt it was not wrong to receive “incentives” from contractors who wanted to start business dealings with them”. Chief Commissioner of the MACC Tan Sri Abu Kassim Mohamed. The Malaysian Anti-Corruption Commission (MACC) will target the Chinese and the youths in its publicity campaign next year, after a recent survey here showed that nearly half of the two groups were unaware of its graftbusting efforts. The MACC noted that in the Federation of Chinese Associations Malaysia (Huazong)’s survey, 48 per cent of respondents aged between 16 and 45 said they did not know of the agency that handled corruption cases, a result which it said was similar to its recent joint study with Universiti Putra Malaysia (UPM). MACC also viewed with concern Huazong’s findings that a whopping 78 per cent of the respondents felt it was not wrong to receive “incentives” from contractors who wanted to start business dealings with them. “While MACC welcomes the call by Huazong Youth for all political parties to support the amendments to the MACC Act to insert provisions in relation to corporate liability, the MACC will also increase programmes in 2014 to reach out to the public, especially the Chinese community and those aged below 25,” MACC’s community education director Datuk Shamshun Baharin Mohd Jamil said in a statement today. In a preview of the reforms that MACC was working towards, Shamshun said the agency is also taking steps to amend Section 23 and Section 36 of the MACC Act 2009, which he said is expected to be tabled in Parliament next year. On December 3, the Parliamentary Select Committee (PSC) on Corruption’s 2012 report said that Putrajaya has yet to arm the Malaysian Anti-Corruption Commission (MACC) with the necessary powers to tackle existing loopholes in the law involving suspected corrupt government officials. The recommendations to amend Section 23 and Section 36 of the MACC Act — which deal with conflicts of interests in the awarding of government tenders and powers to order a declaration of assets on graft suspects respectively — were introduced in 2011 but have yet to be implemented, the PSC report said. Under Section 23 of the MACC Act 2009, the MACC cannot charge a government official who awards a project to his or her proxy or family member if that official declares his or her asset and recuses him or herself from the tender meeting. The report stated that the legal loophole in this section allows the official to commit a “legally right but morally wrong” action with impunity, adding that it had created a “stigma and negative perception among the public that the government is practising selective prosecution”. Section 36 on the other hand restricts MACC’s ability to force a declaration of assets on graft suspects. “The PSC and the public also view this issue as an obstacle to the government and MACC to combat corruption effectively because we found that some government officials have excessive wealth which do not commensurate their pay,” the report said. Despite the PSC’s censure, panel chief Tan Sri Abu Zahar Ujang said he is “optimistic” that the Najib administration would adopt the recommendations, but said the federal government may or may not adopt the recommendations as they are not legally binding. Facing public pressure and widespread cynicism towards his crusade against graft, Prime Minister Datuk Seri Najib Razak recently vowed to tackle the MACC’s image crisis and put the fight against corruption his administration’s top priority. On November 15, Najib gave a nod for the establishment of a Malaysian Anti-Corruption Services Commission that will allow the body to maintain independence as proof of his seriousness in fighting graft. The commission is empowered to recruit, appoint and terminate the services of MACC officers and will also be empowered to employ skilled and competent manpower in a more efficient manner. The move received lukewarm response with critics arguing that any additional powers to the MACC would mean nothing if the commission remains “reluctant” to address top level corruption involving high ranking government leaders. Lim must come to term with the fact that the biggest corruption provider in the nation is the Chinese. It is utter outrageous for Lim to state that the JAIS raid on the Bible Society of Malaysia (BSM) on 2 January 2013 as “Illegal”. 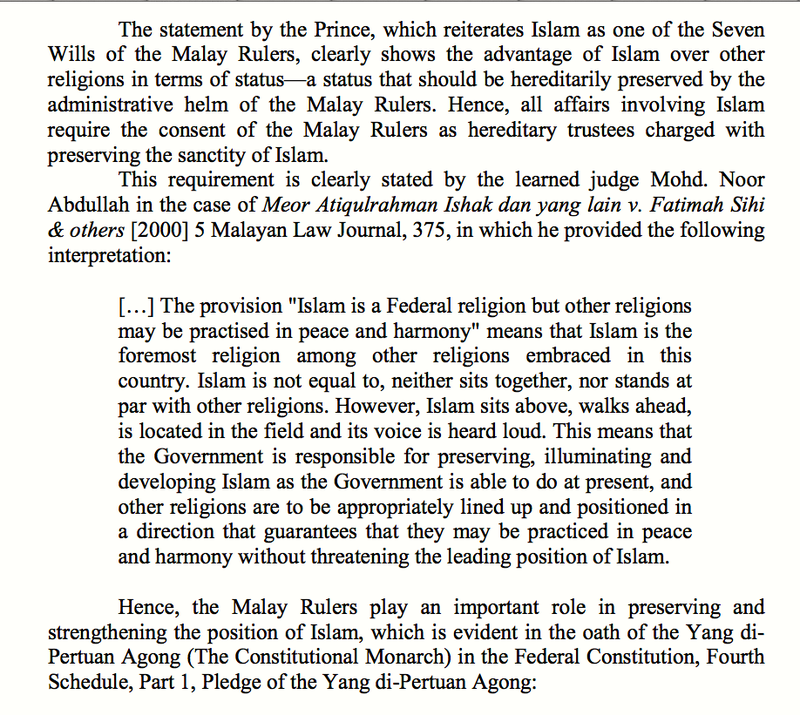 The fact is that BSM, its President Lee and manager Sinclair Wong committed offenses under Federal Constitution Articles 3(1), 3(5) and 11(4) and Selangor Constitution on Propagation of Non Islamic Religions (1988 Enactment). JAIS, the Islamic religous enforcement agency is empowered to administer these laws and provisions, as per enshrined by the Federal Constitution. On the kalimah “Allah” controversy, it was Chinese Chauvinist DAP leaders such as Mini Emperorissimo Lim Guan Eng who demanded that Non Muslims to be allowed to use kalimah “Allah” in his 2012 Christmas Day message. The continuous provocations and insults of DAP leaders on the matter should be seen nothing less that seditious. It is also the DAP leaders who behave unconstitutionally and un-Malaysian when they challenge the position and role of Islam as the Religion of the Federation and the administration of Islam and Syariah laws. The event in Red Rock Hotel on Macallister Road in Georgetown on 5 May 2011 is an example of that. This is an extension to their racist DNA, which has not deferred since its inception in 1967. Lim mooted the ‘Reconciliation Summit’ between BN, which is a legally incepted political organisation and Pakatan Rakyat, a conceptual coalition between Opposition parties which they failed to incorporate into a legal political organization despite its been past five years since they started. It is evidently clear that Lim’s ‘Reconciliation’ offer is false and a trap, to drag Prime Minister Najib and his populist characteristic into a viscous political cycle that will spiral BN further into being portrayed as the ‘Baddies’, with manipulated overtones such as ‘desperate’, ‘deception’ and ‘diabolical’.